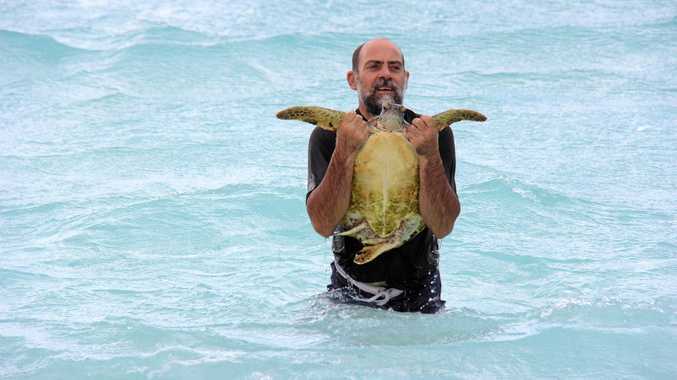 TURTLE HELP: Gladstone Local Marine Advisory Committee chair Karl French. FIFTY years ago Gladstone's turtles had almost been hunted to extinction. Dr. Karl French from the Gladstone Local Marine Advisory Committee said thanks to the efforts of volunteers, researchers and scientists over the years the number of turtles returning to our shorelines are slowly increasing. 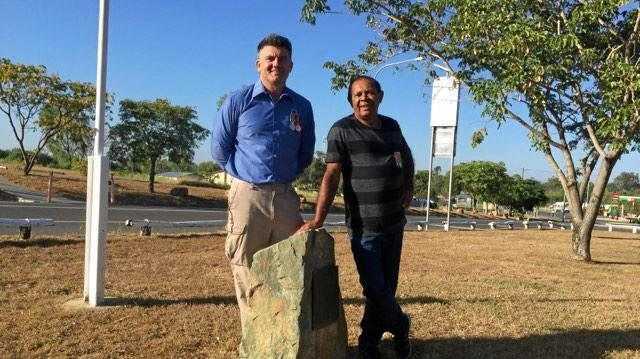 "Within this area we have nesting sites which have been monitored continuously since the 1970's with input from the Gladstone Ports Corporation. "We have a core group of locals who have been trained up to monitor nesting sites and we've been monitoring locally for three seasons now." The news isn't all good though. "We have noticed a slight decline in nesting sites on Curtis Island," Mr French said. "Plus we've found nests damaged by four wheel drives above the high tide mark at The Lilley's beach." 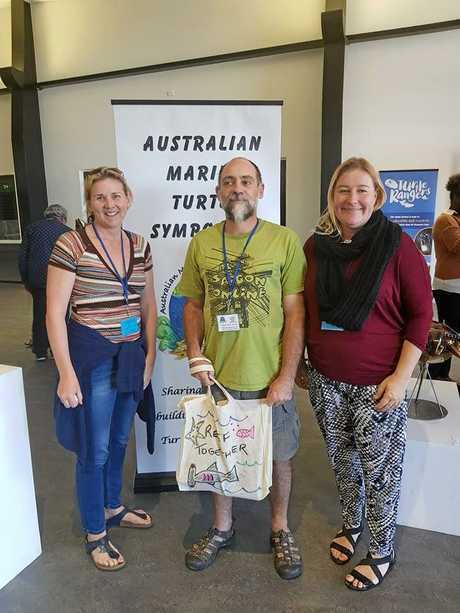 TURTLE HELPERS: Jodi Jones, Karl French and Megan Ellis attended the recent Turtle Symposium in Bundaberg. To help address these and other issues, Mr French attended the fourth Australian Turtle Symposium in Bundaberg on the weekend. "There were 150 other delegates from around Australia and nearby countries," he said. "But the big thing that inspired me was how many more community groups are stepping up to do their bit to help. "They are no longer sitting back and watching, they're getting pro-active. "They do lots of debris clean up and beach plantings to improve nesting habitat and report tracks and nests." What was even more encouraging was the young girl from Agnes Water who attended the meeting. "She spent the three days listening to all the talks and taking notes," Mr French said. "She's involved in beach clean ups, recording the debris being collected and entering the information into the Tangaroa Blue database. "Her generation will make a big difference."